EUNICE ANNABEL: Oh Bali Bali! What's up folks! 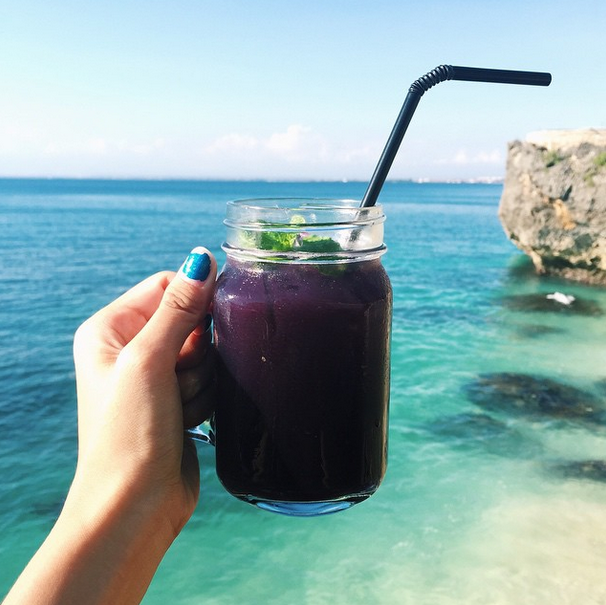 I'm quite excited to blog about my recent Bali trip because for quite a long time now, I've been only posting advertorials. It's nice to just take a break and write about what I truly love. My visit to Bali this time was a lot more fruitful than the previous one. I managed to visit a couple of beautiful places that blew me away and I would like to share my experience with you. To be very honest, I didn't plan to blog at all initially, but I had a bunch of photos that I didn't know what to do with. Hence, I decided to post them here. Since Xavier is currently in Taiwan, I had to travel to Bali on my own. Due to different flight timings, I arrived about 6 hours before him. Thankfully (and coincidentally), I was traveling on the same plane as my aunt, so I wasn't so alone after all. Having been to Bali before, I'd befriended a driver named Komang, who took some time off his schedule to pick me up from the airport. It's nice to know that I have a friend in Bali that I can put my trust in. Komang is probably one of the nicest person I've ever met, he's filled with humility and he works extremely hard to support his young family. 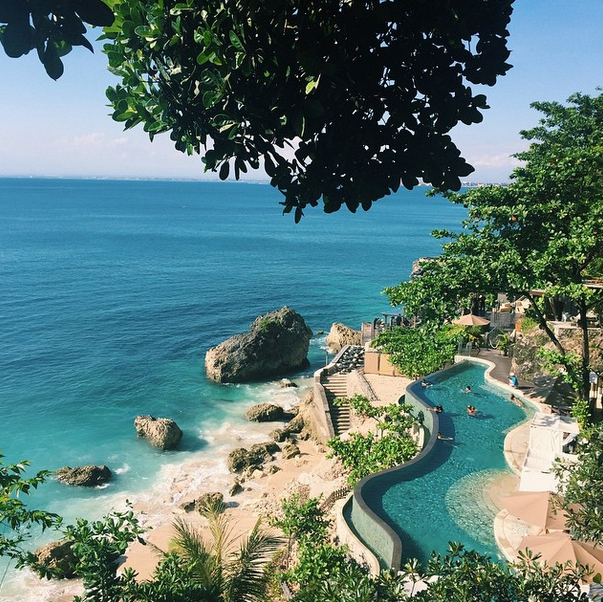 If you're planning to visit Bali any time soon, and should you need a driver, please feel free to email me at eunice.annabel@gmail.com. I'll be more than happy to connect you with Komang. Alright anyway, I didn't stay at a villa this time since I was pretty tight on budget, so I'd booked a room in a little boutique hotel along Kuta beach instead. Well, it isn't exactly along the beach but it's near. The hotel I stayed at is called J Boutique Hotel, just 6 minutes away from the airport and 15 minutes away from Kuta beach. I can't remember the exact price, but it cost less than SGD$250 for 5 nights. That's a steal. But if it's your first time travelling to Bali, I suggest you get a villa instead. Only then will you have a true Bali experience. And for those of you who are still asking which villa I stayed at the last time, it's called Ocean 11, in Seminyak/Kerobokan. The first day in Bali was rather chill; Xavier and I didn't really plan to do anything. So we ended up just walking around Kuta area, and found a beach club to unwind at. It's called Rosso Vivo Dine & Lounge - Nothing really fancy about it in the day, except for the fact that if you spend a certain amount, you can use their pool - which was really tempting because Bali can get very hot. We walked past this place again on the 3rd night and found it to be even more alluring at night. 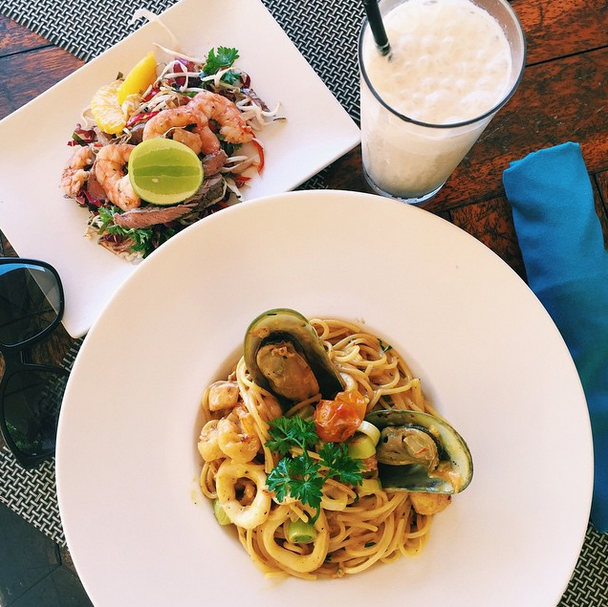 There are a lot of beach clubs, bars and restaurants along Kuta area, so don't just settle for one the moment you see it. I suggest walking as much as you can until you see one you really like. Next, we made our way to Jimbaran beach, which is about 18 minutes (drive) away from our hotel. The beach itself isn't that pretty, but what keeps people coming back are the lovely little seafood restaurants along it. The best they say is a restaurant called Menega Cafe, where you can purchase a set of seafood which contains 2 fishes, 2 lobsters and more for only SGD$44. If the menu says it's a set for 2, it can actually feed up to 4 people. If it says it's a set for 4, it feeds up to 6 people. You get the drift, don't get cheated. The best time to enjoy your seafood is when the sun starts setting, get there fast because it can get pretty crowded by 7pm. Xavier and I went there a little too early and it was excruciatingly hot. I couldn't take it and had to take a plunge in the water. Next, we went back to our hotel, showered, slept for a bit, and finally woke up for a swim. There's nothing really stunning about our hotel rooms, it's very simple, but their customer service is excellent, probably beats a lot of boutique hotels here in Singapore. But what really stood out for me was their rooftop pool. In fact, I actually booked this hotel for their pool. HAHA. Just Google search images for "J Boutique Hotel Bali" and you'll know why. Our failed attempts at taking photos together in the pool with my DSLR camera. hahaha. I slept so soundly at night but was woken up by the arrival of someone special :) Fai managed to find time to join Xavier and I on the trip too! hehe. Initially, I'd planned for us to visit Waterbom Park in Kuta beach but the two boys are afraid of thrilling rides so we didn't go in the end. But it was quite a blessing in disguise because if we had gone to Waterbom, we would have missed out on the highlight of our trip. We took quite a long ride, about 30 minutes to Uluwatu beach area and visited Finn's Beach Club. I'm a little hesitant to share about this place because I fear it would get crowded in future and I won't be able to visit it again. But okay, I'm not going to be selfish. Finn's Beach Club is a STUNNER. It's the sort of place you would dream about or watch in movies. It's literally a restaurant/bar by a private beach. Yes, you heard that right. PRIVATE beach. You'll only be granted access if you purchase their package fee. I can't remember how much it was but whatever it is, it's worth it. Finn's Beach Club is a place you can stay for the whole day and not get sick of it. If it isn't too hot, I assure you that you'll be able to take tons of Instagram worthy pictures. Oh! I don't know how you can do it, but please check the tides before making your way there. If the tides are too high, you won't be allowed to go down to the bay area, and you'd have to stay in the restaurant above, which is pretty but quite a waste of time. We had to wait about half an hour before we could make our way down. View from the pool/restaurant above. Finn's Beach Club infinity pool. The water's so beautiful uh? Doesn't look like it in pictures but Finn's Beach Club is located along a pebble beach, so it hurts like a b*tch if you fall when the waves push you. If you're rather frail like me (even though I think I'm tough enough already), the waves WILL push you and you WILL fall. Stay away from the water if it's high tight. And kids shouldn't be anywhere close to the water; I swear the current will sweep them away. Cliffs and huge rocks will surround you, watch where you're going. Sorry, some more skin baring pictures. Please skip if it annoys you. It's just for me to see only. hehe. Next, we went back to our hotel, slept again. Beach holidays can be very exhausting you know? The sun soaks up all our energy. Then headed out for dinner along Kuta beach, had some authentic Indonesian food, it was good but not really to my liking. Thai food for life. I was most excited for this day because the plan was to visit AYANA Rock Bar in the later part of the day. Once again, go Google search images for it! You'll understand why. 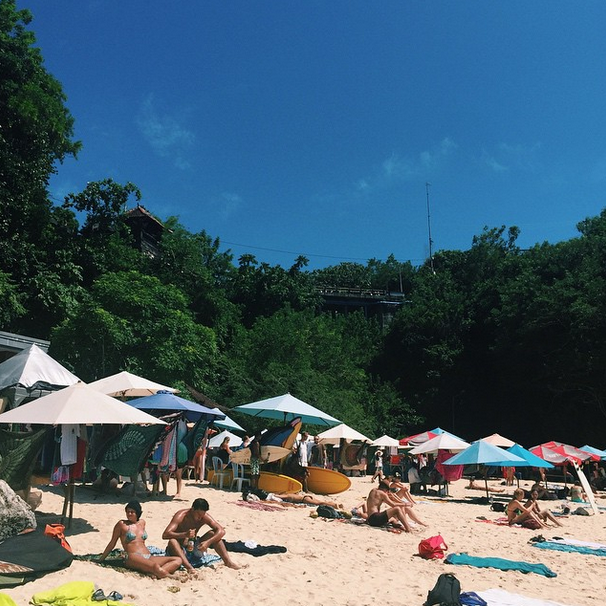 But first, we spent the afternoon at Padang Padang beach (also around Uluwatu area) since the Rock Bar only opens at 4pm. Photo taken in Starbucks. Yes, Starbucks. 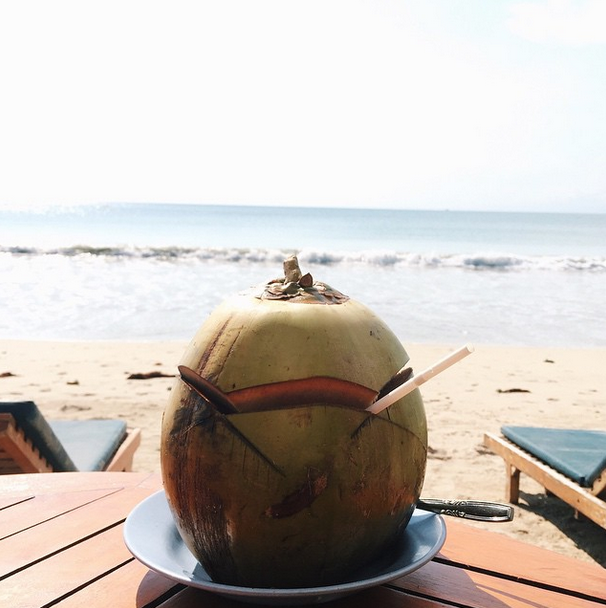 You think Bali's all just beach, huts and little mama shops right? You're wrong! They have two or three malls along Kuta area that offers stores such as Topshop or Zara! Prior to visiting Padang Padang, I'd read a ton of reviews stating that it's a beautiful place to chill at, Eat Pray Love was even filmed there! But upon arrival, I was honestly a little disappointed. Yes, it was beautiful but it was also very small and overcrowded with sunbathing Caucasians who were even more beautiful. There were perfect beach bods everywhere, I felt so insecure (I probably had the smallest chest there). Plus, most of them were eyeing on us because it seemed like we were the only few Asians present. Was I thinking too much or did I really witness some of them making jokes out of others. It felt almost like a competition, where everyone strutted around half naked trying to garner as much attention as possible. I always thought that an experience is made best when the people around are nice, and I'm sorry to say that the island’s snobbish, attention seeking tourists have taken the beauty of Padang Padang away. Unless you have a killer bod or you're planning to feast your eyes on lots of boobies or you don't give a sh*t what people think of you, leave Padang Padang out of your itinerary. I don't know, the place definitely had some weird aura and I was more than to happy to leave after about an hour. People just kept staring, I couldn't take many pictures without thinking that they're all judging me. Sorry, I have insecurities too. Anyway, it was time to leave for AYANA Rock Bar anyway! It opens at 4pm but I advice everyone to get there about 30 minutes earlier to avoid the queue. If you're too late, you might not even get a seat. Being kiasu Singaporeans, we got there in time and managed to get one of the best seats in the house. AYANA Rock Bar is located in AYANA Resort & Spa. It's also a hotel, and if you're a guest, you can make reservations for the bar. If not, you'll have to queue like us. Hotel guests also get additional benefits, like using the bar's pool etc. There is a dress code for the bar if I'm not wrong. To be safe, just make sure you have your shirt on at all times. hahaha. It might not look like it, but it was scorching hot that day and I'd wished I had more sunscreen with me. The sun shines directly down at you and if you don't have any protection whatsoever, you will get a sun burn. So make sure you bring extra sunscreen with you, a hat would be ideal, if not you can always borrow the bar's umbrellas. To quench my thirst, I ordered this non-alcoholic drink. I can't remember its name but damn, it was delicious. Make sure you get the best seats in the house to catch the sunset. Those seats the ladies got are the ones you should aim for. After that, we went to dine at Naughty Nuri. Many have recommended this place to chow on pork ribs or babi satay but I found it once again, to be just alright, nothing special. Maybe I'm just not that much of a foodie. 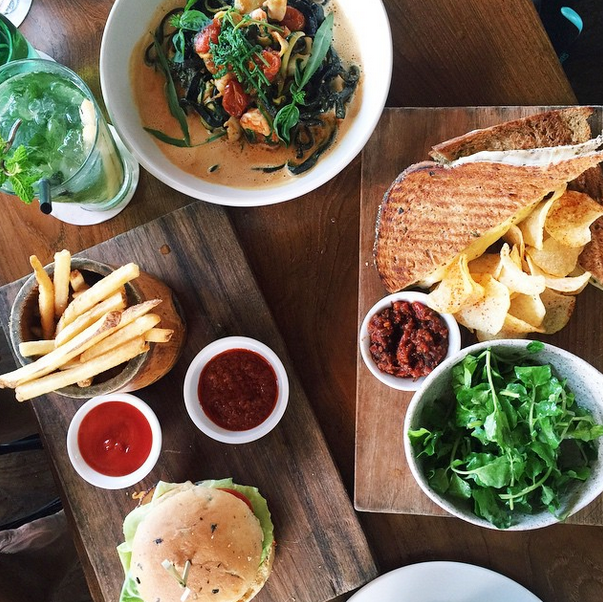 We spent the entire day at Potato Head Beach Club at Seminyak on day 4. Potato Head is quite a popular tourist destination and I'd included it in the itinerary because Shine recommended it. Thank God we went because it ended our trip really well, like the icing on a cake. My brother coincidentally went to Potato Head the same day as us, so we had a little reunion. He went on his trip with his friend, and both of them are actually lifeguards, hence with them around, we dared to jump right into the waves of Seminyak Beach, knowing that if anything were to happen, they'll be there to save us. hahaha. By day 4, I'd already spent most of my money so I was very careful with what I ordered. I ended up purchasing just a grilled cheese sandwich which had a little too much mustard for my liking. Please, if you're planning to visit dine to Potato Head, I recommend getting what Xavier ordered - Squid ink pasta or something. It's to die for. If you spend a certain amount, you'll be granted access to a cabana. Each cabana only fits 3 people. Highly recommend getting one for maximum Bali experience. All my bikinis are from H&M, except for the black one I wore to Finn's Beach Club. I've been to Kuta beach, Padang Padang beach, Finn's beach club bay (I think it's part of Uluwatu beach), Jimbran beach, Nusa Dua beach BUTTTT.. I think my favourite is still Seminyak beach. It has waves that are just right for swimming in, not too big or too small, clear waters and soft sand. The five of us spent a good 45 minutes or so swimming in the sea, catching the waves, and me, drinking a ton of seawater by accident. HAHA. My best buy at Potato Head! Custard filled donut balls served with Raspberry and Chocolate sauce. YAY! We've come to the end of the post! Thank goodness, I was honestly getting a little tired explaining everything. Bali will always be kept close to my heart and I foresee myself visiting her for a million more times in future. I don't think I'll ever get bored of it. If you have any recommendations on where I should go next, please let me know! I'm already thinking of my next beach vacation. I just love the sand and sea. Oh yeah, before I go, if you're planning to visit Bali, please make time for massage, they're extremely cheap there (about SGD$5 for 1 hour foot massage) and don't forget to tip!!! At least 30,000rp. That's SGD$3 if you don't know. Alright bye everyone! :) Have a great weekend! Wow you did a nice holiday. It looks like you enjoy it. The villa did you stay? if you visit the villa Kubu Seminyak? This place has a spa and resort are very interesting and unique. You can find out from this http://www.villakubu.com/spa-venus ... sometime and you must turn to visit to find out. Because I know, you love these things. nice share. 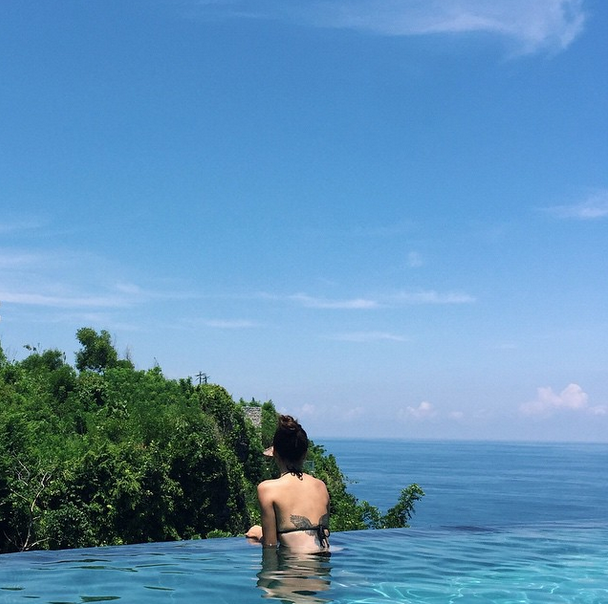 Bali is a one of the best holiday spots in the world. Bali offers incredible value for money for hotels, restaurants, private villas, spas. Temples and Sites. Selamat Datang di THE GAROUPA Seafood & Dine Restaurant Bali & Selamat Mencoba Premium Class kami dari THE GAROUPA PREMIUM Lounge & Dine . 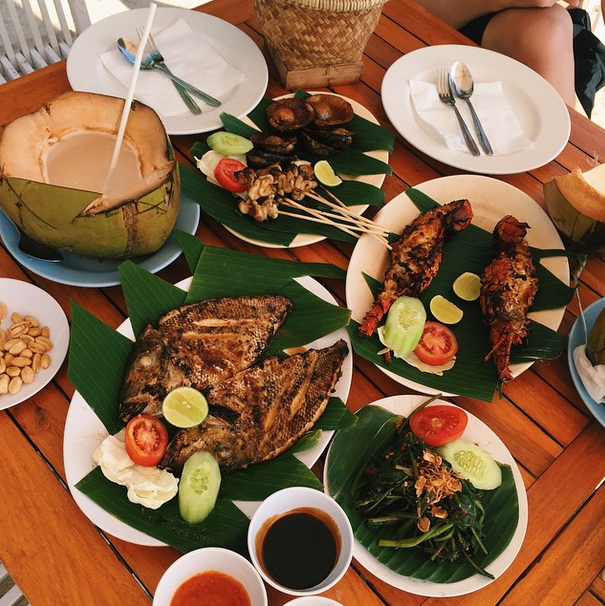 “Tempat & Rasa Sulit Untuk di Lupakan ” adalah tag line restoran kami yang merupakan jaminan kepuasan untuk setiap pelanggan yang datang ke THE GAROUPA Seafood & Dine Restaurant Bali. THE GAROUPA Seafood & Dine Restaurant Bali berlokasi hanya 10 menit dari terminal Internasional Ngurah Rai Denpasar - Bali dan kami menyediakan menu Chinese Hongkong , Hong Kong Style BBQ & Live Sea Food Hasil Laut yang bervariasi, terjamin kelezatan dan kualitas kesehatan makanan dengan harga terjangkau. Beberapa perusahaan Tours & Travel , Corporate Business, Event Wedding Organizer , Institusi Pemerintahan , Hospitality Industry Besar juga telah bekerjasama dengan kami. • Paket meeting dan Fasilitas standar meeting. • Paket set menu dengan harga yang variatif. • Tempat parkir luas dan aman untuk kendaraan. • Layanan oustside catering dan nasi box untuk jumlah tertentu. • Wedding Event Organizer , Chinese Oriental . in a specific and friendly atmosphere! You should check out Villa Lumia Bali www.villalumiabali.com for your upcoming trip on the Island of the Gods ! Wow..so nicely written. The photographs are amazing. We also visited Bali recently and had an awesome time. Your pictures are just amazing !!! great article..thanks ya .. you are good ..
Amazing blog and very nice collection of the information and layout. Bali Property Beautiful girl and wonderfull place. We are contractor villa, house constructor who make a concept, observe, design and build villa, hotel and house. Constructeur maison a bali, villa concept in 3d. Thanks a lot for giving nice information. Bali is a tourist destination that famous for its unique culture and customs. Bali Karma Tour&Adventure invites you to enjoy and explore this beautiful island. Our team are ready to serve all of your holiday needs in Bali. Merci pour la rédaction détaillée et instructive, votre blog sera d'une grande aide! Bali Quality Tour is not only for a brand of our company but it’s also a part of our “Karma” within we serve all Customers that way we provide Bali Charity Tour in our website. We believe so much life so easy if everything we start from kindness and of course will bring us the happiness. Bali Quality Tour with quality service driver and Tour will made your memorable holiday and do more “Karma” in Bali. Did you know you can get them ON AUTOPILOT AND TOTALLY FOR FREE by registering on Add Me Fast? Learn how to get free flights by Travel Hacking. Book a tour in Bali. Book online for the best tours at the best prices! Skip the line tickets · Easy booking · Easy Cancellation · VIP access · Provide all Activities · Best selection. Its really a good blog on Villa rental. I appreciate your article. Its important to get quality villa rental. 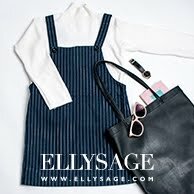 This blog is really helpful to give a light in this issue. So thanks for sharing all that important information. This is really awesome blog post. Thanks for sharing amazing pictures. Keep it up good work. very useful post!!! thanks for sharing! Nice post with amazing captures.